The Exhibition starts from Friday the 13th of September and continues until Oct 5th (open Fridays between 12:30pm & 3:30pm and Sat & Sun between 2pm – 6pm ). 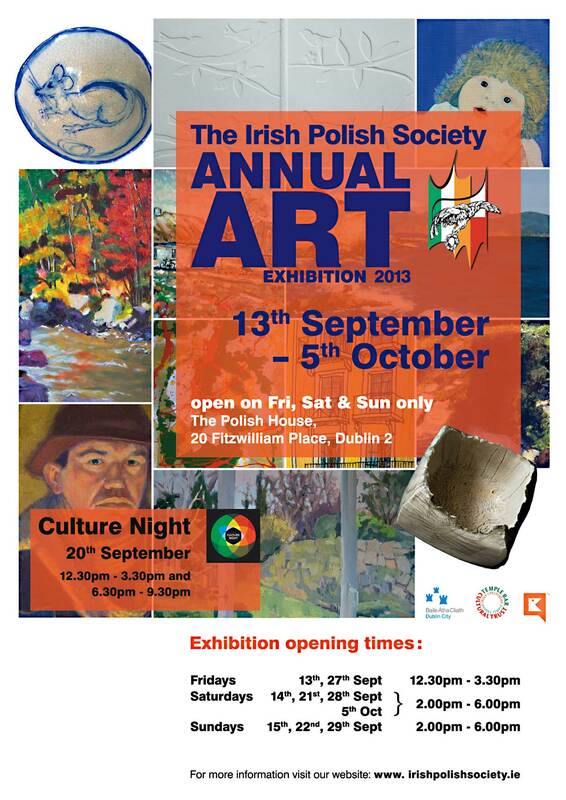 Also The Culture Night presenting typical Polish food & variety of music between 6:30pm & 9:30pm on Friday 20th of September 2013. 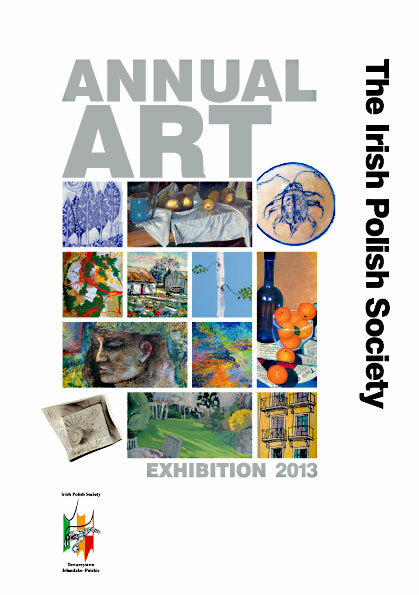 In a Georgian townhouse near Fitzwilliam Square a select group of international artists have come together at the invitation of the Irish Polish Society to exhibit their varied works. This year the annual art exhibition has expanded its remit to include a broader than ever multicultural participation. Indeed there is even an entire wall dedicated to this year’s national welcome theme of ‘the Gathering’ which showcases a selection of small works by invited artists. Together, exhibitors present work in a variety of media and styles from oil to ceramics. New to the exhibition this year, Madrid artist Angela Velazquez shows ceramics, Basque artist Begona Doody shows recent paintings alongside those of Gillian Mahony, Marcin Kulpa and Ken Donfield. 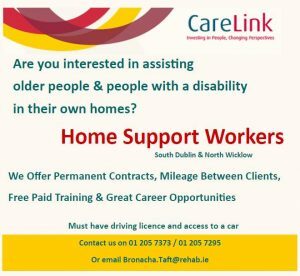 There is also another opportunity to see the latest works by Orla Kaminsaka, Ula Retzlaff, Deirdre O Broin Lennon, Helena Johnston, Marysia Harasimowicz – Harris and Martin Reynolds. Of particular interest this year are the paintings of Maciej Smolenski who this year also publishes a book about his family’s very romantic and adventurous history. This is the story a brave dash across 1940’s Europe, barely one step ahead of encroaching war all the way, from Poland to England. The exhibition will also be open to the public on Culture Night, and for participants on the South Georgian Quarter International Tour there is music and traditional polish food to sample too. The IPS welcomes new members and runs a busy programme of events throughout the year. 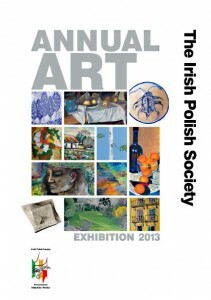 For more information see the website at http://irishpolishsociety.ie/. This year promises to be a vintage outing for this popular cultural fixture. 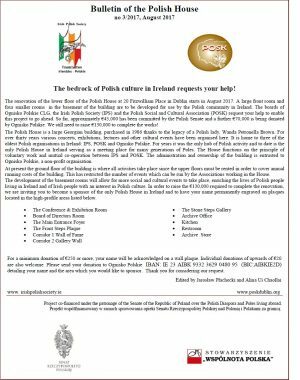 With its newly refurbished space the Polish House is well on the way to establishing itself as one of the premier intercultural venues in the city. 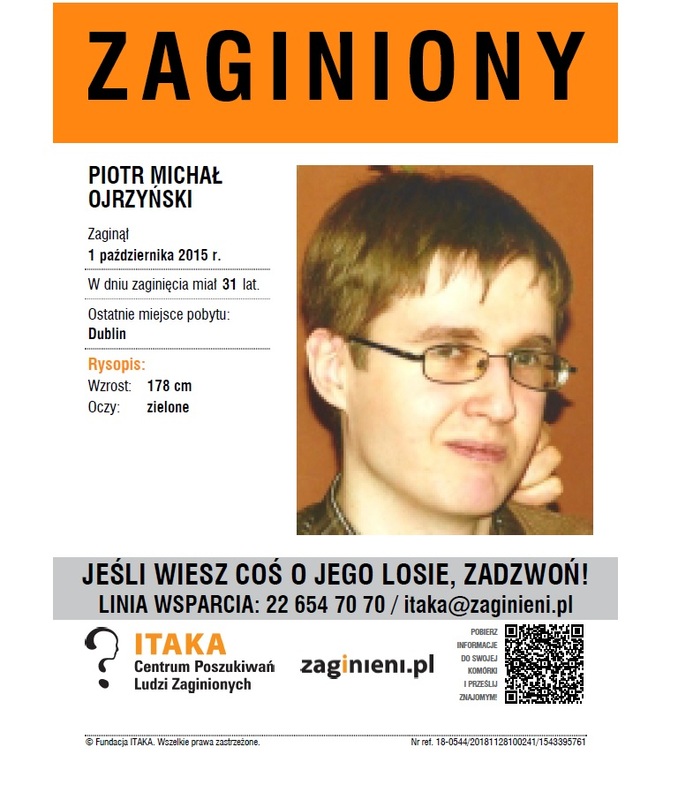 Venue:	Polish House 20 Fitzwilliam Place, D2. 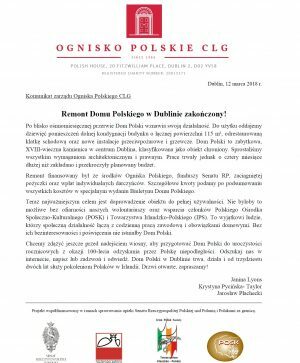 The Irish Polish Society is the primary organisation in Ireland for promoting integration between Irish and Polish people. It has been in existence since 1979 when Pope John Paul II came to Ireland. The IPS organises a wide range of cultural and social events during the year to suit a variety of interests and age groups. These include an annual art exhibition, musical evenings, book launches and readings, film shows, talks by local and visiting lecturers and a summer barbecue. We co-operate with the Polish Embassy, other Polish and Irish organizations, and have speakers to give advice on integration issues. The IPS celebrates the main cultural and religious festivals of each country. Among some of the events of the last twelve months we have participated in a festival of short films with the IFI, held a number of classical music recitals including an evening with pianist Tamara Niekludow. We have hosted a meeting with author Marek Stokowski and (with the ITIA) launched a book on the Polish poet Jerzy Harasymowicz. 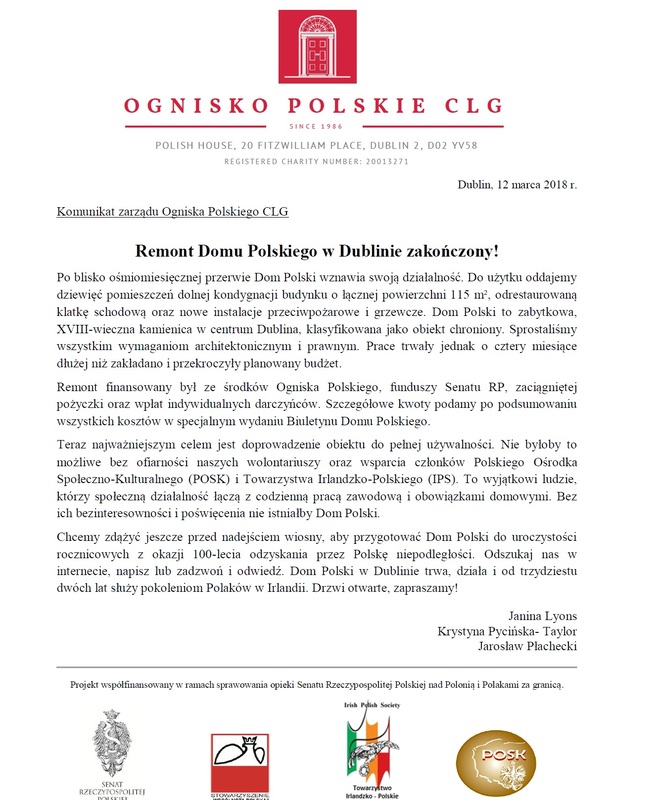 We celebrated feast and national days including a Polish traditional Easter egg-painting family workshop, a traditional Irish music event with the Comhaltas Ceoltoiri Eireann for St. Patrick’s Day, Christmas Carols and Polish Independence Day. Lectures have included Dr Padraig Kennan on geology in Poland, and author and IPS member Patrick Quigley on Casimir Markievicz. 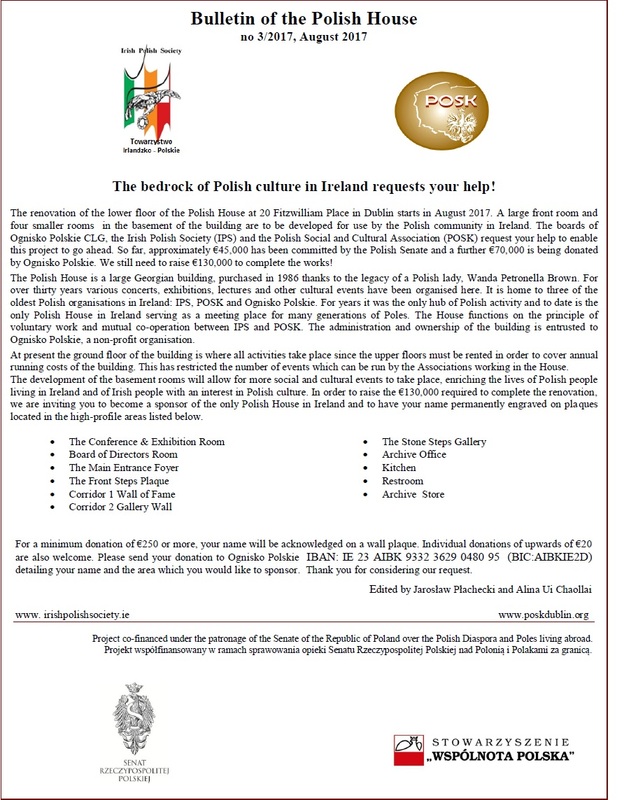 We also facilitated a fundraising hike – the “Wicklow Horizon”, have taken part in a number of events with the Polish School in Dublin – “Tracing Polish Footsteps in Ireland” and supported events organized by POSK in the Polish House. The IPS has organised a number of art exhibitions over the years and we aim to hold these annually. 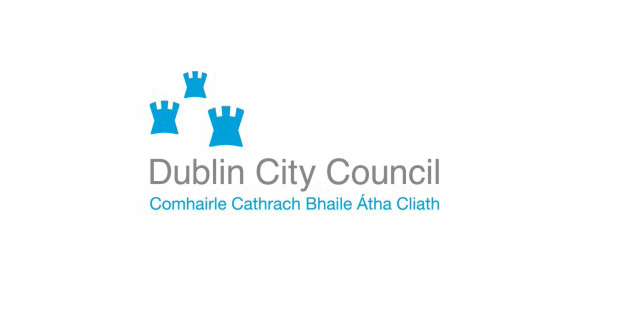 We have previously exhibited in The Civic Offices of Dublin City Council, the Polish House (20 Fitzwilliam Place Dublin), The Bank of Ireland Arts Centre and the ILAC Library.